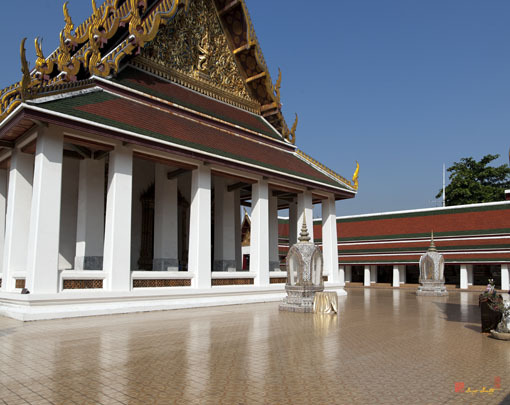 Wat Saket Ratchaworamahawihan, วัดสระเกศราชวรมหาวิหาร, also spelled Wat Sraket, is a second-class royal monastery or Woramahawihan. 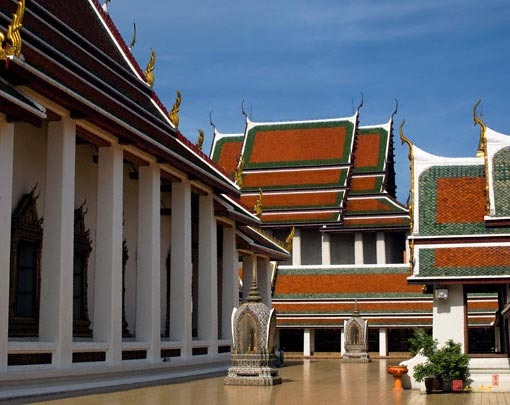 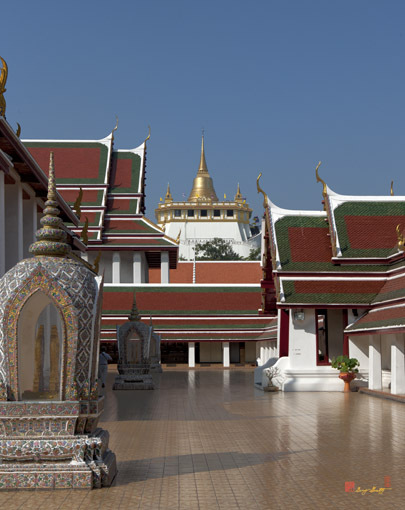 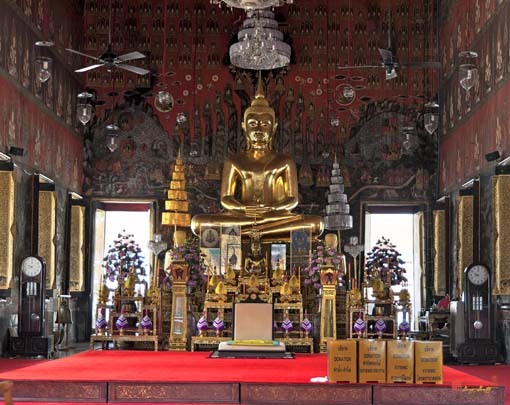 It was built in the Auytthaya period and was originally known as Wat Sakae. 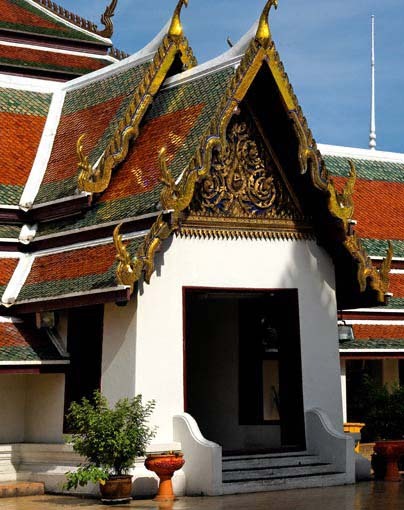 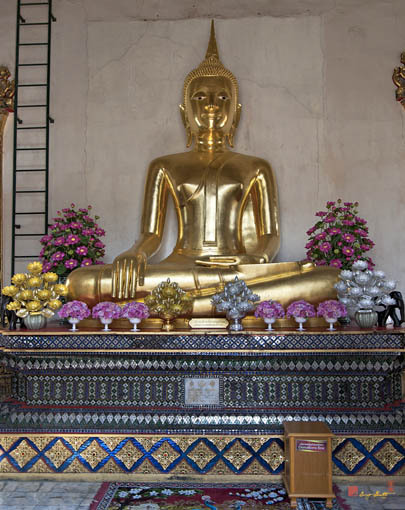 It was restored during the reign of King Rama I who renamed it Wat Saket, meaning "hair-washing" because he sometimes stayed overnight to clean himself on the way back from the war in Cambodia. 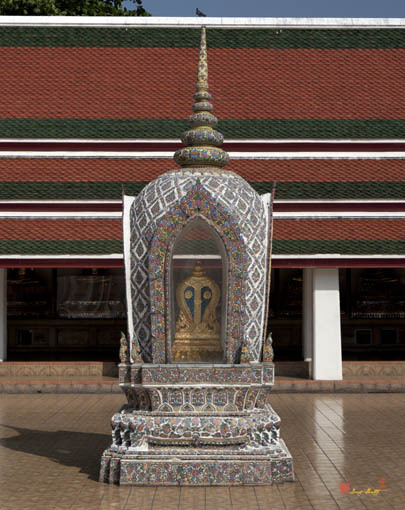 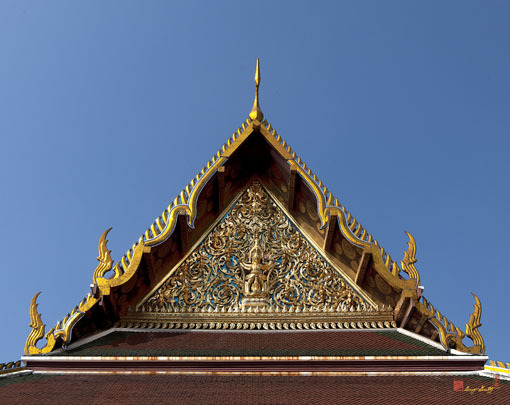 The Ubosot (Ordination Hall) has beautifully carved and mirror decorated gables. 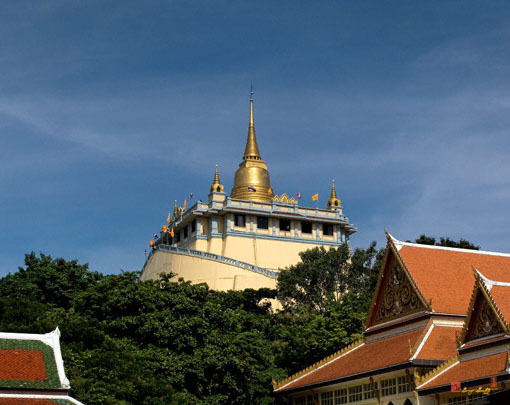 Phukhao Thong (Golden Mountain) was built in the reign of King Rama III in the form of a chedi (pagoda) with a base with 12-indentations, but not finished. 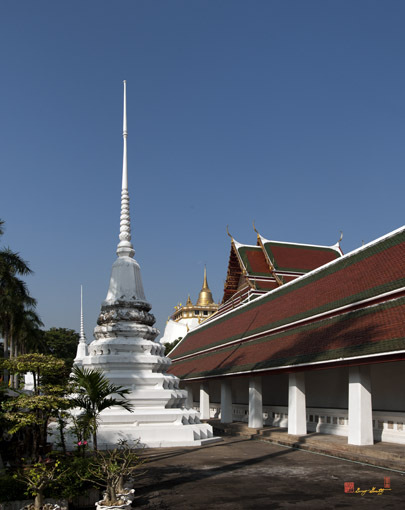 King Rama IV changed the structure by building the chedi on top of the mountain resulting from the collapse of the original chedi. 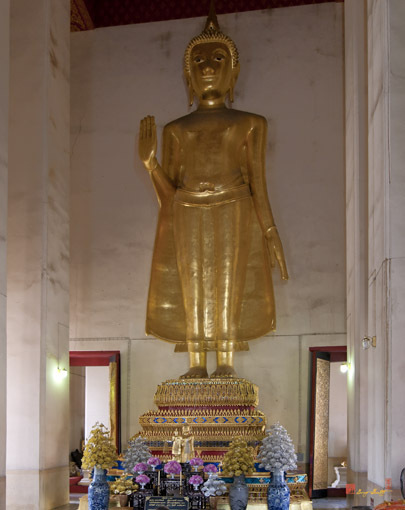 He gave the name Phra Borommabanphot to the chedi. 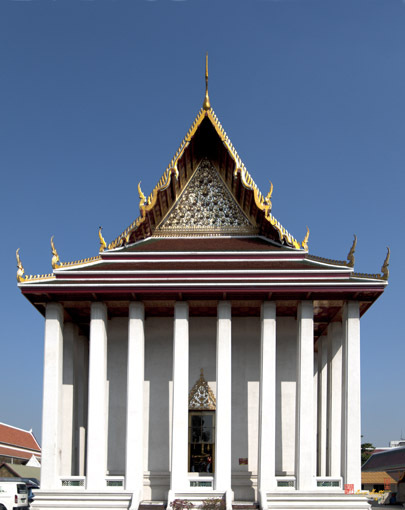 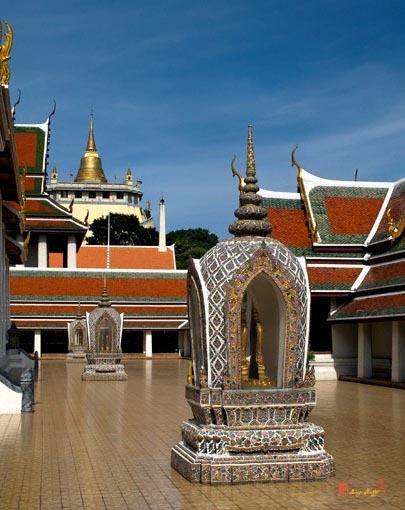 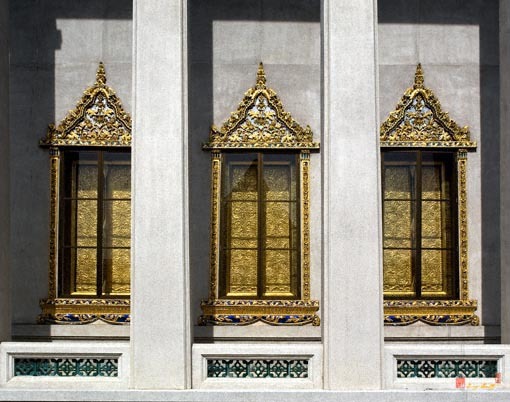 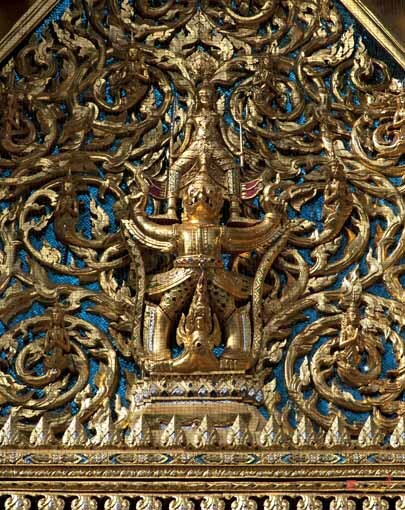 The construction was completed in King Rama V's reign who also placed in the chedi relics of the Lord Buddha from India. 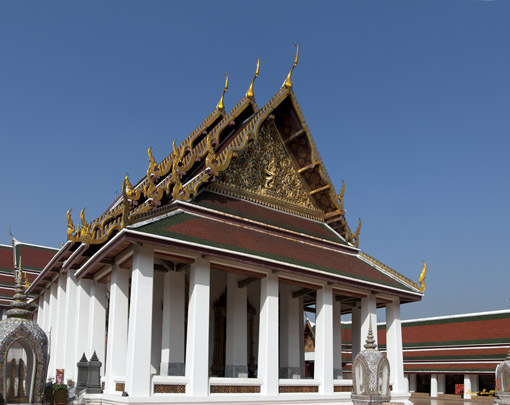 Text adapted from historical marker at the temple.